NASHVILLE, Tennessee -- Carolina Panthers offensive tackle Michael Oher is accused of assaulting an Uber driver in Nashville, Tennessee, according to Nashville police. The high-profile football player, whose life was the subject of the movie "The Blind Side," was cited for the alleged assault. The Uber driver claims that on April 14 the two got into an argument during a ride to downtown Nashville. 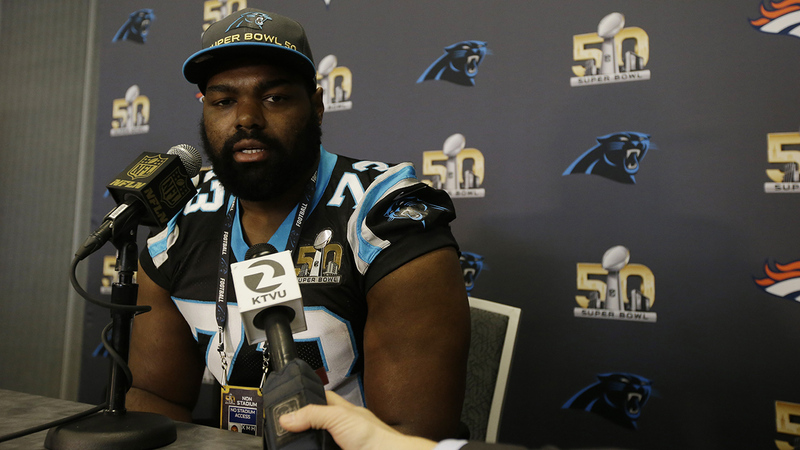 The driver said he put his hand up toward Oher's face and then Oher pushed him to the ground. Oher has been ordered to appear for booking on May 8 on the misdemeanor assault citation. Oher has been with the Panthers since 2015. He has been placed on concussion protocol since the end of September 2016. He missed the last 13 games of the 2016 season. The Panthers told ABC affiliate WSOC that "we are aware an incident occurred involving Michael. We have no further comment at this time."